Please clarify: when you write “baking Soda” do you mean Baking Powder (Bi-Carb of Soda, one third, and Cream of Tarter two thirds)? Or do you mean plain BiCarb, known to me as baking soda? JUsing Bi-Carb only, just made up my second attempt at Coconut Bread/cake – the 3 egg one which I did print but cannot find now on your site. First time, delicious but very crumbly and went off stored in a tin after 3 days. So I know to store in the fridge or freezer. My second attempt today I spread between 12 muffin pans and baked for 30 minutes. Delicious. Thanks. 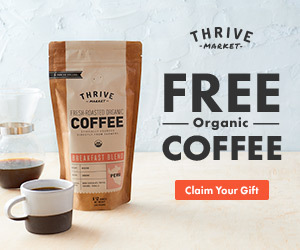 Hi – Is it possible to replace coconut milk with almond milk and how do you feel about using liquid stevia….Thanks so much for your help. Yes, almond milk will work too. Stevia should be fine, you’ll have to guess how to much to add since I didn’t test the recipe with it. Does 1/2 cup of solid coconut oil equal a 1/2 cup when melted ? OMGoddess, I love these. Didn’t put in chocolate chips, added a dash of cloves, cardomon, and nutmeg. Delicious coconut muffin recipe! I can’t wait to try all your others. I’m unable to eat wheat products and yeast due to digestive issues, & all other recipes of tried before yours fell WAY short of being good, yet alone edible. Thanks! Made these for breakfast this morning, with a couple of tweaks. I’ve added the amended recipe to my make-again-file; really good. My husband isn’t wild about the taste of coconut. I’ve made several recipes with coconut flour that he likes (including this one) but coconut oil is pushing his boundaries. I always substitute avocado oil for melted coconut oil, with uniformly good results. On the theory that anything with cinnamon begs for a pinch of allspice, I added that. It also masks the coconut taste just a trifle. I whirled the wet ingredients, including the butternut squash, in my Magic Bullet for about 15 seconds. This gets the coconut flour and the squash thoroughly combined. I’m thinking I’ll try this with all my coconut flour recipes. The muffins came out with a very tender and grit-free texture. Everything bakes faster in my toaster oven; 25 minutes was plenty for these. Made these again yesterday and this time I used my “Texas Muffin Pan” which makes six oversized muffins. This made six muffins, instead of the kind of mingy-sized nine I got in my regular muffin pan, and exactly the right texture and size. 350 in my regular oven for 30 minutes. can i use almond milk instead of coconut milk?? This didn’t turn out like I’d hoped, but the again I’m not a baker. I added clove to the mixture and it made the batter taste amazing, however i had to extend cooking time by ten minutes cause the centers wouldn’t cook and thus the outside of the muffins burned a little. With the light burnt flavor and the chocolate chips i can barely taste the coconut and pumpkin. Next time i won’t add chocolate chips and i’ll stick to the 35 mins. Hi. I am on Paleo Autoimmune Protocol & cannot have eggs but would love to bake your wonderful muffins! Could you tell me how to replace all those eggs in the recipe? ( ie gelatin eggs or flax eggs – I have never made either:) ))thank you !! Question i am thinking of trying this recipe it looks delicious. I am just starting to use coconut flour. Was wondering if i dont have coconut milk will regular mild work ok in this recipe? These look delish. 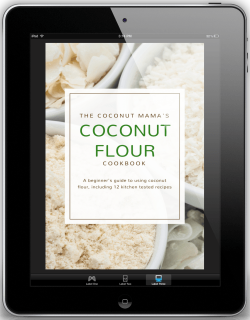 Would the Mama’s Coconut Blend instead of plain coconut flour? I have to try these, I love anything pumpkin. Can you leave out the chocolate chips? I replaced the maple syrup with coconut nectar. 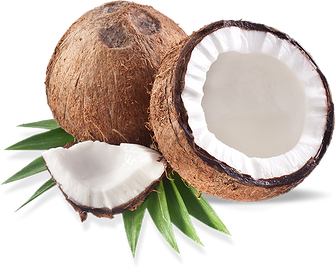 By using coconut nectar I’ve lowered the calories, carbohydrates, and sugar content. The coconut nectar adds vitamins and nutrients that the maple syrup does not supply, you won’t get a coconut flavor using coconut nectar if that’s a concern. And the muffins turned out great. These muffins turned out fantastic!! I’m new to gluten free baking and using coconut flour and these were so simple to make and so wonderful! Thank you! Hi Tiffany! I made two batches of these today for a birthday brunch – one batch with chocolate chip, and one batch with walnuts and dried cranberries. They are fabulous!!! Thank you so much for your wonderful recipes! They make Paleo-ish eating so much fun! No one would ever know these are made with coconut flour! Fabulous! Thank you! These muffins are so tasty! The texture is spot on. Coconut flour is so fickle, sometimes I’m disappointed by its texture, but these are amazing!! Can you substitute raw honey for the maple syrup? I live overseas and it’s SUPER expensive. Hi there. I love looking at your recipes and dream of all the things I can make. I have one question. I live overseas and maple syrup is expensive, and forget buying a small thing of organic maple syrup. Is there a substitution I could use? I have some raw honey that I’ve ordered from online, but regular honey here is expensive too. Anyway I can make these with raw honey? Also I know the difference between raw honey and clear honey. But is there any difference in baking with these? THanks so much. Yes, honey would work in this recipe too! Hi Tiffany, I’m excited to make these for Thanksgiving…I’m not dairy free and would like to use raw milk instead of coconut milk. Will that still work? Thank you :)! My husband and I really enjoyed these! I just have to figure out the nutritional info so I can keep track of my diet. My doctor has put me on a gluten free, peanut free, sugar free, corn free diet plan. So far I have lost 66lbs. It is just hard to track nutritional info when making homemade recipes. I made these and they were so yummy, however mine came out gooie. I made my own coconut flour from your coconut milk/flour recipe. Any suggestions as I would really like to make these again. I love your recipes! They have all been magical! Thank you!! It’s really hard to please some people!! Thank you for this lovely looking recipe. I can’t wait to try it. I assumed the serving size: 6 muffins meant it would yield six muffins; so, I doubled the recipes. I have enough batter for mor than 24 muffins!! I’m confused…. Haha yes this recipe makes 6 muffins. Will fix it in the recipe. Thanks! It says serving size: 6 muffins. Did you mean that to say the batch makes six muffins instead? Unless they are the ‘thumbprint’ size muffin tins, I don’t think I would want six for a serving…then again, maybe I would. 🙂 Blessings! Can you give nutritional info on these muffins? This recipe contains eggs so it is not dairy free. Right . . . I confounded dairy free with vegan . . . oops! I really like all of your recipes especially when its make with anything coconut.